Researcher Dr Emad Al-Dujaili from Queen Margaret University looked at how a daily dose of pomegranate juice might affect blood pressure. The study consisted of 20 participants: Ten took a daily dose of 500ml pomegranate juice and ten took a placebo of 500ml water. Measurements of blood pressure and urinary hormone levels were taken before and after 30 minutes of exercise, both before starting the study and one week after pomegranate juice. 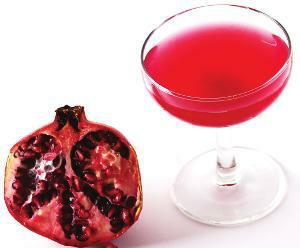 The research found that people who drank the pomegranate juice showed significant improvements in blood pressure after one week, whilst those in the placebo group showed no significant difference in any variable. This is the first time that pomegranate juice has been shown to have a positive effect on blood pressure both before and after exercise. However, this was only a small study on healthy volunteers and the findings need to be validated by a larger trial.